About this series: In October 2012, I moved into a low-income apartment high-rise on Detroit’s lower east side and began to investigate the treatment of residents, most of whom are seniors, veterans and people with disabilities. Little did I know what I was in for. The problems started when the St. Louis owner of the 20-story Regency Towers fired security in January. An overwhelming stench wafts from heaps of garbage and chunks of raw meat strewn across the lawn where the grass is hip-high in many areas. While residents are deprived of a safe, clean environment, the company is raking in federal tax subsidies for low-income residents and people with disabilities. In the meantime, the company stopped paying its own taxes to the cash-starved city beginning in 2011, leading to its forfeiture in March, Wayne County records show. Filthy conditions, bed bug infestations and poor air quality are routinely dismissed by the one remaining office manager, who has slammed the office door on tenants and even pounded me with a long, heavy set of keys earlier this month when I asked why she was ignoring residents’ complaints. So furious, she deactivated my electronic keys for the weekend in an illegal effort to keep me out of the building. A few hours after the maintenance supervisor overheard Marshall talking to me, the company fired him. On Friday, the company also terminated the building’s only cleaning person, Lucy, whose frustrations with an increased workload exploded when she discovered someone had stolen the catalytic converter from beneath her car in the middle of the day. Lucy, who was exceedingly sweet and quiet, kicked in three windows and tore off. The company never repaired the windows, and they remain open to trespass. This story only gets 9 comments and story on 3 dogs getting shot gets 90 comments. Nice…. When I lived at a badly managed downtown building a few years back, the residents got fed up with code violations and lack of maintenance. We discussed opening an escrow account where we’d deposit rent money until the landlord repaired the building. Luckily, the landlord got the message and we didn’t have to resort to that. It’s one legal step these tenants can take. Maybe there’s a lawyer who could explain the process to them? Steve, I was looking at apartments last summer. I walked into this place, was shown to the resident mgr office. Someone, a young Caucasian lady, very nice, simply said, let me grab a key and show you a unit. We walked to the elevator, and I was already leery from walking in the door. But was going to go along anyway. Well the elevator took forever! She smiled at me while we waited. The elevator arrived, some characters exited and I looked at her and said as politely as I could muster, “you know, never mind”. I don’t need to see a unit. She said “really?” I said yes, thanks but no thanks, turned on my heel and bolted for my car, never to return. steve neavling… a real repotrer would have identified the maintenance supervisor and the big wig in st louis. I understand wayne state has journalism 101 classes. cam i send you an application.? 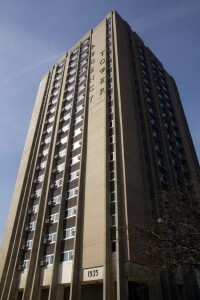 Kohner Properties’ web site says: “Daily maintenance and upkeep are not just a continuous focus but a passion for every one on the Kohner team.” The St. Louis media need to be made aware of their neglect of Regency Towers, so that the company can be shamed in its home town. 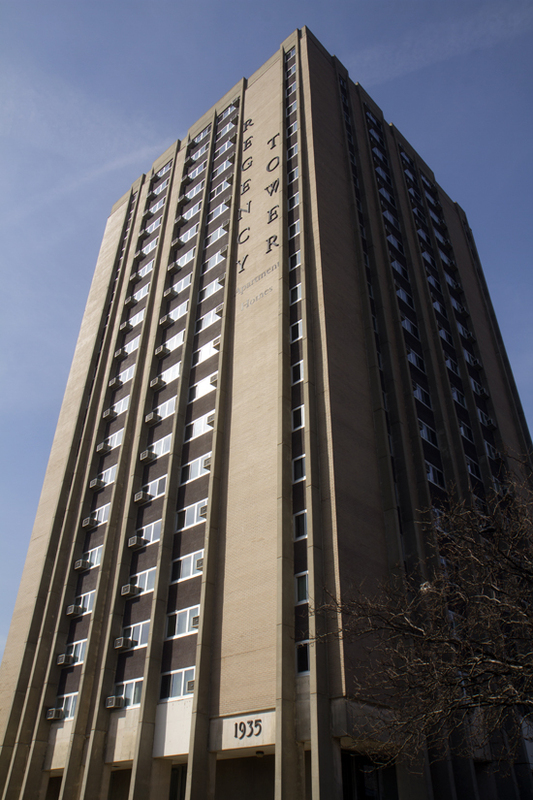 Unfortunately Kohner properties is responsible for the problems with Regency Towers. They are the slumlords. The slumlords in Detroit are incredible. In the neighborhoods, they don’t even bother removing the previous tenant’s garbage before moving in the next set. They don’t pay their taxes or settle up with DWSD. I am particularly hot about DWSD allowing slumlords to avoid paying for their tenants’ usage, including illegal usage, by simply informing the utility that new tenants are in residence. Bebow, if you know of any slumlords, feel free to let us know. We’re going to investigate slumlords for the next month. My email is sneavling@gmail.com. Thanks for your always insightful comments.